UK Foreign Secretary: Iran's Treatment of Zaghari-Ratcliffe "Breach of Human Rights"
UK Foreign Secretary Jeremy Hunt summoned Iran's ambassador to Tehran on January 14, 2018, the day Iranian British citizen Nazanin Zaghari-Ratcliffe and fellow prisoner, human rights advocate Narges Mohammadi, began a planned hunger strike in Tehran's Evin Prison. "Today I summoned the Iranian Ambassador to demand Nazanin has immediate access to the healthcare she requires," Hunt wrote on Twitter. "Her ongoing detention is TOTALLY unacceptable and her treatment at the hands of Iranian authorities is a fundamental breach of human rights," he added. Speaking at a press conference in London that day, Zaghari-Ratcliffe's husband, Richard Ratcliffe, revealed that his wife had been pressured to spy for Iran. "They told her it would be safer for her and her family if she agreed to do this," he said. "She came out of that conversation terrified, and in no doubt that she had been warned that the only way she would get out [of jail] would be if she agreed to become a spy," he added. "What really pushed her over the edge ... was that they tried to pressure her to become a spy for Iran against the UK". 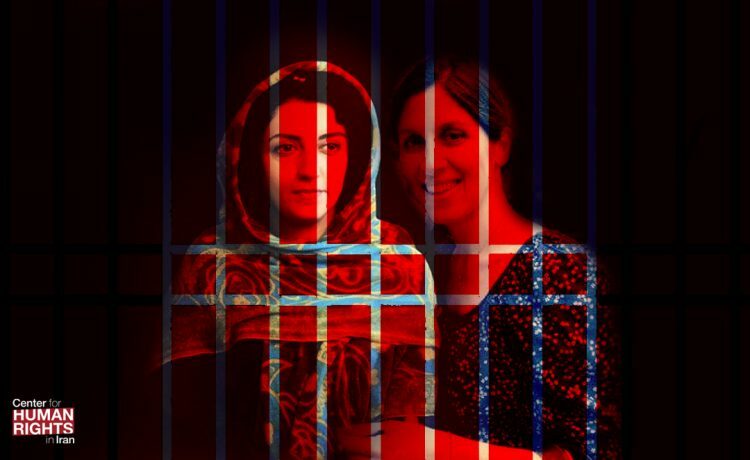 The authorities responded by cancelling Zaghari-Ratcliffe's weekly calls with her husband, reducing her food rations, cancelling Mohammadi's calls with her children and further restricting call privileges for everyone in the Women's Ward of Evin Prison. On January 10, Iran's state-run TV channel also aired a sensationalist film posing as a documentary that painted Zaghari-Ratcliffe as a spy who had come to Iran to bring down the Islamic Republic. The film, which denied Zaghari-Ratcliffe the opportunity to speak for herself, was also shown in the Women's Ward. Zaghari-Ratcliffe's former employer, Monique Villa, the chief executive of the Thomson Reuters Foundation, said: "It is extremely shocking to see our colleague Nazanin Zaghari-Ratcliffe going on hunger strike to protest at her inhumane treatment in Evin prison, at a time where her health is already at its poorest. I am sincerely worried about the dire consequences of this. "As her employer, I repeat that Nazanin is totally innocent, and certainly not spy material, as portrayed by the Iranian Revolutionary Guard," she added. "The Iranian government and judiciary must act immediately, release her and allow urgent treatment before her health deteriorates any further. I call upon those responsible to free her now." A former staff member of the Thomson Reuters Foundation charity organization in London, Zaghari-Ratcliffe was arrested at a Tehran international airport by the Islamic Revolutionary Guard Corps' Intelligence Organization in April 2016 and ultimately sentenced to five years in prison under unspecified espionage charges in a trial severely lacking in due process. She became eligible for release in November 2017. However, in May 2018 she was charged with "propaganda against the state" by Judge Abolqasem Salavati of Branch 15 of the Revolutionary Court in Tehran and ordered to hire a new lawyer. The status of that charge is currently unknown. Mohammadi has been serving a 16-year prison sentence since 2015 for her peaceful activism under the charges of, "membership in the [now banned] Defenders of Human Rights Center," "assembly and collusion against national security," and one year for "propaganda against the state." "I will not go into the unfair sentences against me," she wrote to Tehran Prosecutor Abbas Jafari Dowlatabadi, "but I am asking Your Excellency to at least take steps to allow me to have access to medical treatment and specialist physicians who have been taking care of me for years, as well as access to medications."